Clear2there revolutionizes access control and business security with one simple solution. With Clear2there’s incredibly robust and versatile VCAS platform, you can custom tailor a fully integrated access control and video surveillance solution to meet the unique needs and requirements of your business operations or residential property. Electronic locks can be installed on important entry and exit doors, and employees can carry uniquely coded electronic key-fobs that allow access to controlled areas and doors. All entries are logged and, if needed, the system can associate snapshots from deployed video cameras as an extra measure of security for access to restricted areas, such as maintenance or storage rooms. Systems can be configured to send this data to the appropriate team members as an additional safeguard. Doors can be unlocked remotely, and an administrator can view the surveillance feed to assure that proper access has been granted to the authorized individual. Clear2there smart door readers-controllers are true network devices, designed using IP standards and technology, and connecting directly to the data network using existing LAN wiring. The panel-free system delivers real-time access control and notification via email, text or text-to-voice messages to company personnel and security administrators. Once installed, the reader-controllers use TCP/IP to open a dialogue with the Viewbiquity Edge Gateway, and await specific commands and parameters. This “plug and play” configuration is much easier to deploy than stringing special wiring, and is less time-consuming than programming and connecting to control panels. 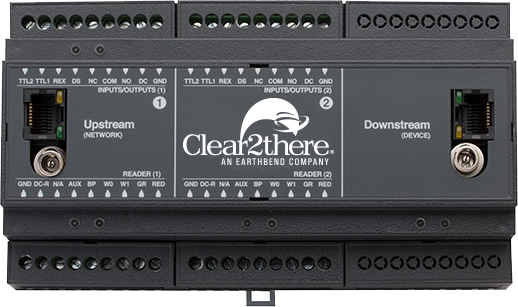 Clear2there’s streamlined installation, maintenance and integration delivers significant cost-savings, empowering businesses to intelligently leverage the investments made in their existing network infrastructures. Simplicity: Our all-in-one reader-controller device is easy to install and connects via an Ethernet connection without the need for additional power at the door. It provides uninterrupted decision-making intelligence even if your network goes down. Scalable: A reader-controller sends mere kilobytes of data across the network, minimizing network bandwidth, latency and server utilization. An unlimited number of readers and users can be supported on a system. Fault-Tolerant Design: Our intelligent reader-controllers can make access control decisions based on the Viewbiquity rules engine. Additional features are supported to associate with other events, such as activating video snapshots that can be emailed to remote devices, turning on lights, adjusting thermostats and more. Network Ready: The only panel-free system with direct connectivity to the data network. Anywhere you can send an IP message, you can control a door or access point, and easily monitor and control entry points across geographic locations. Everything required for a traditional access control system, compared to a streamlined, cost-effective single Clear2there reader-controller at the door. 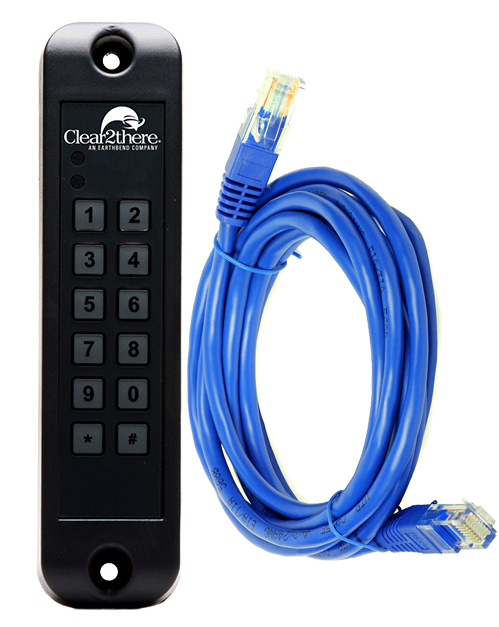 The Clear2there IP Bridge hardware allows you to convert panel-based access control installed at your existing doors to our pure IP solution. 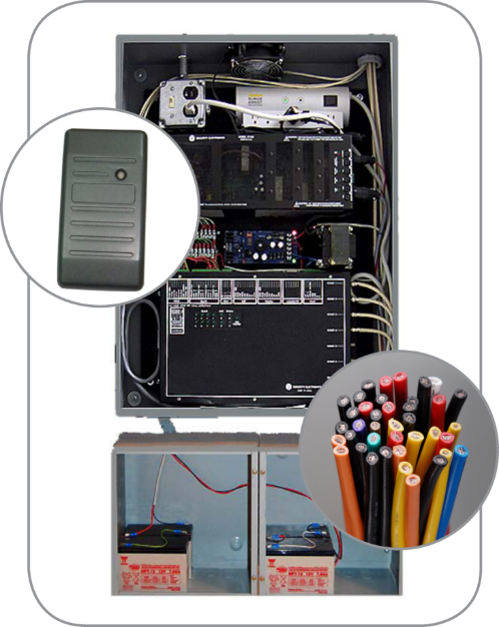 By replacing subpanels with a direct network connection — and eliminating the need for specialized wiring and backup power — the IP Bridge enables you to expand your system while also reducing equipment and maintenance costs tied to existing doors.